Welcome to the Vogel Center Christian Reformed Church! We are glad that you are taking some time to learn more about us. We would love to get to know you as well. Please explore the website to learn more about our services and other ministry programs. We hope that you will find Vogel Church to be a warm, friendly place where you and your family can grow with us. offering programs and events for all ages. 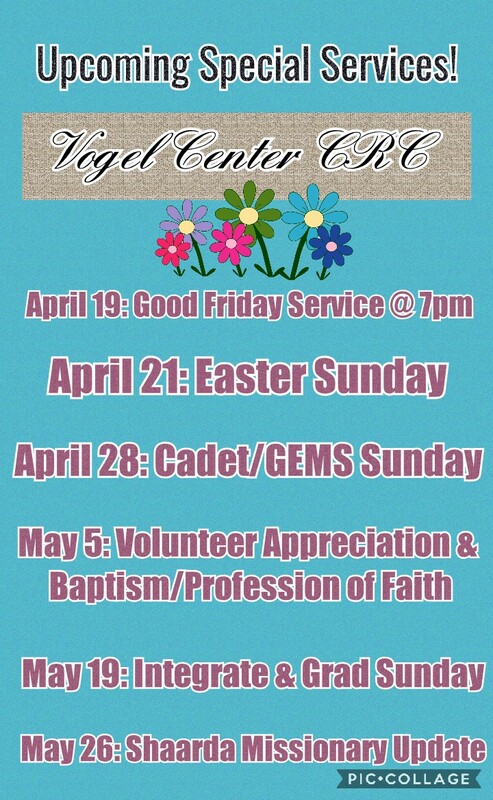 Check out our upcoming special services!